KIA West Edmonton | Blog | How Far Can You Drive in the 2019 Kia Forte? How Far Can You Drive in the 2019 Kia Forte? Are you searching for a new compact sedan that offers tremendous fuel efficiency, which allows you to drive a long way before needing to refuel? If so, then you are in luck as there are several excellent options available for you to explore. In the Edmonton, AB area, one of the best compact sedans available is the 2019 Kia Forte. Customers in Edmonton can explore the incredibly fuel-efficient 2019 Kia Forte for themselves at Kia West Edmonton. 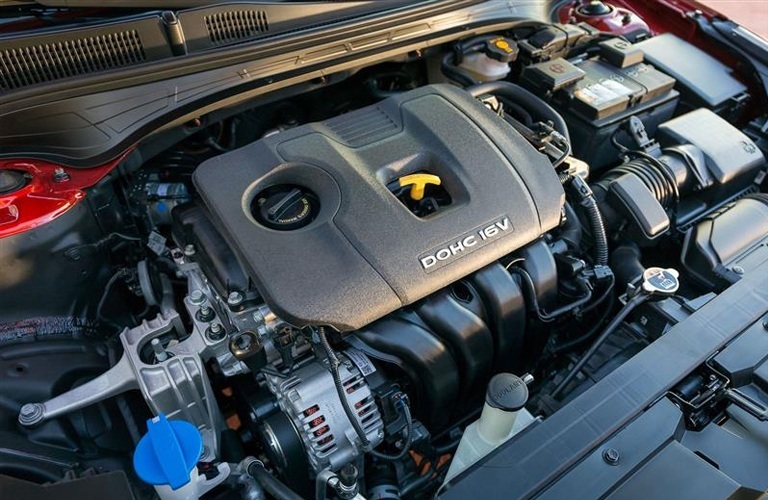 One of the main reasons the 2019 Kia Forte is so fuel-efficient is because of the excellent engine it has under the hood. 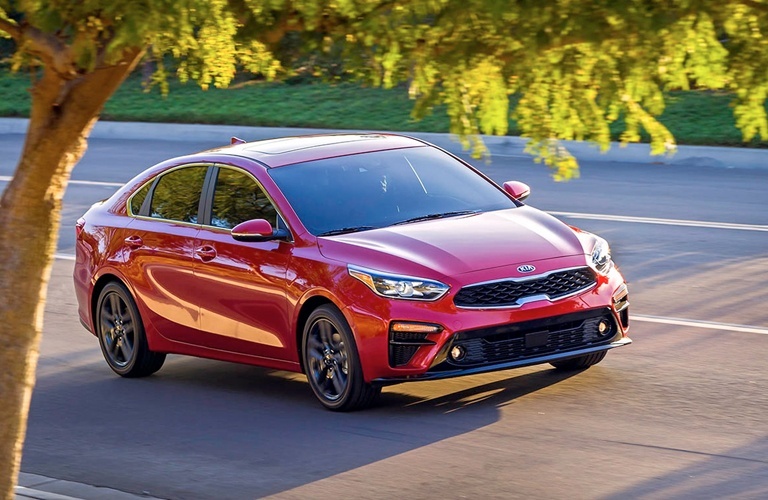 The 2019 Kia Forte features a 2.0L inline 4-cylinder engine that offers a combination of fuel efficiency and performance. This 147-horsepower engine is able to generate 132 pound-feet of torque. Additionally, customers are able to choose between the 6-speed manual transmission, standard on the LX MT trim, and the Intelligent Variable Transmission. With the manual transmission of the LX MT trim, the 2019 Kia Forte is able to reach a fuel consumption rating of 8.6 L/100KM in the city and 6.4 L/100KM on the highway. With the 53-litre fuel tank, the LX MT trim of the 2019 Kia Forte is able to travel 616 kilometers in the city and 828 kilometers on the highway before needing to refuel. With the IVT equipped, the fuel consumption rating of the 2019 Forte becomes 7.7 L/100KM in the city and 5.9 L/100KM. This configuration of the 2019 Kia Forte allows drivers to travel 688 kilometers in the city and 898 kilometers on the highway without stopping for fuel.